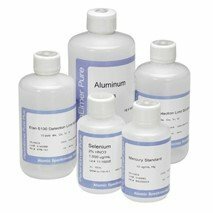 NETA Scientific supplies an extensive line of elements and elemental compounds such as alkali metals, high purity metals, and metal alloys for use in analytical research and development laboratories. Browse metal standards, non-metallic elements, and stable isotopes manufactured by leading brands. Neta Scientific is a laboratory supplies and solutions company that enables the global science and clinical markets to more effectively conduct world-leading research and development. We are a MBE and WBE, headquartered in Hainesport, New Jersey with additional representation throughout the United States. Our mission is to provide the global science market with access to superior laboratory supplies and solutions that enable world-leading research and development.